Drive-by shootings are commonly defined as an incident in which the shooterfires a firearm from a motor vehicle at another person, vehicle, building, or another stationary object. 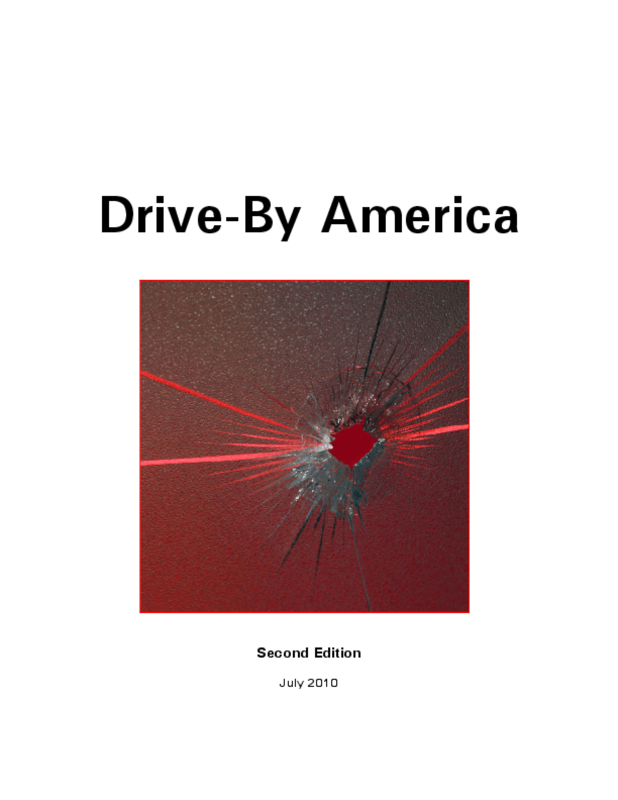 This study is a follow-up to the July 2007 Violence Policy Center (VPC) report Drive-By America, which, using a limited sample of information, offered for the first time a nationwide overview of drive-by shootings. place, or at what times they most often occur. The goal of this new edition of Drive-By America is to continue the VPC'sefforts to fill the information gap surrounding drive-by shootings while illustrating the need for improved data collection regarding this specific category of firearms violence. Copyright 2010 Violence Policy Center.